Please make sure to fill out all fields to correctly fill out form. 1. Describe the event/project you would like to be part of. What is this Event/Project all about? Who are the leaders/mentors for the event/project? Please include their contact information. 2. Specify the reasons you want to have this experience. What interests you about this opportunity? What kind of things do you hope to learn? What background (academic and/or experiential) do you have that will be helpful in getting the most from this experience? 3. Tell us how you see the subject matter of this planned experience being important to the mission of the church. Does it address a cutting edge issue in mission? If so, please describe it. 4. How do you think you can use this learning experience personally and with your community of faith after you return. How might this experience help shape your faith journey? How will you share this experience with others so that they are informed and encouraged to work for justice and compassion? 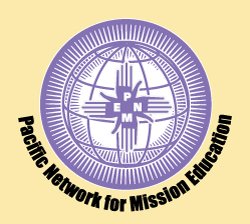 How will you share with the PNME board your experience and how can this information be included on the PNME website (http://pacnet4mission.org)?